Angie Thomas was born, raised, and still lives in Jackson, Mississippi. A former teen rapper, she recently won a Walter Dean Myers Grant, awarded by the We Need Diverse Books campaign. 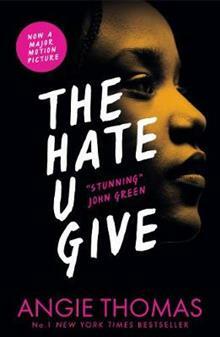 The Hate U Give is her first novel. Her second novel, On the Come Up, is about sixteen-year-old rapper Bri. You can find Angie on Twitter@acthomaswrites or visit her website, acthomaswrites.com.